With the increasing digitization, businesses are rapidly adopting applications and software for performing various operations. Most of the time, these applications and software involve security issues which is why businesses are exposed to a number of cyber-attacks. Be it websites or mobile apps, if developed without any robust security, are exposed to security vulnerabilities that may cause severe damage. Security issues like applications getting hacked, data breach, or user’s confidential information getting leaked are often due to inappropriate security measures or weak site encryption. Hence, to protect the sensitive user or business data as well as protect your business from the costs of recovering from cybercrime, application security scanning plays a crucial role. With an increasing number of businesses developing their own apps, incorporating open source codes into the applications as well as purchasing a number of apps available from online app stores, the application security risks such as data breach and application hacking have also increased. Application Security is a robust approach of making websites or mobile apps more secure by finding, fixing, and enhancing the security parameters. There are hundreds of specialized application security tools available to secure various features of your network-based apps, mobile apps, as well as firewalls to secure web apps. The faster and quicker you find and fix the security issues in the apps during the software development process, the more secure and safer your enterprise will be. Many companies into online business as well as into the ecommerce industry undergo several processes to assure their consumers that their personal information is safe with them. Application Security makes the process of detecting and mitigating cyber threats simpler and effective through deep analysis. 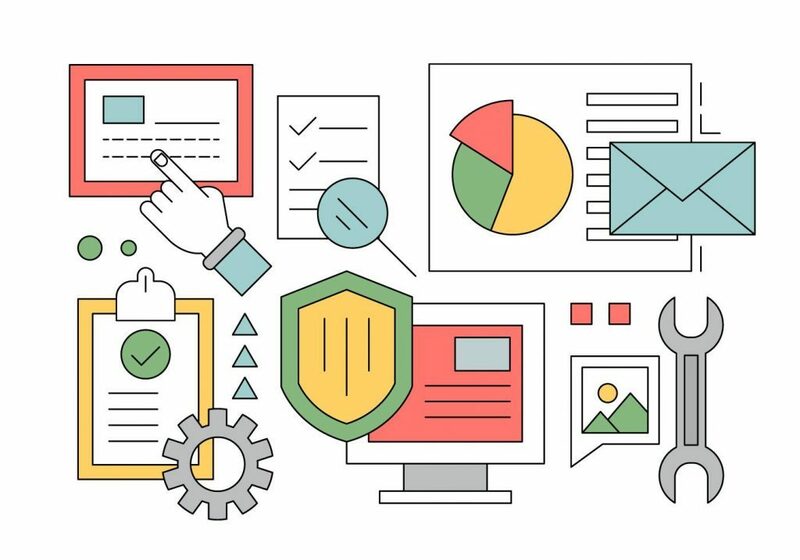 Moreover, there are several security testing types and phases that can be addressed during your app development process for security compliance audits. Let us learn about these application security testing types. Done during development level, SAST is a white-hat or white-box application testing, where the tester knows everything about the application being tested. Testers can analyze their code at fixed points to ensure that security issues are introduced during the development stage itself. In other words, with this kind of testing, testers can detect and report weaknesses that can lead to security issues. Done during the running stage of the code, DAST can be considered as a black-hat or black-box testing where the tester has no prior knowledge about the system. It helps in simulating the attacks on production systems by detecting issues with scripting, sessions, interfaces, responses, and revealing complex patterns. This combines elements of both static as well as dynamic testing. The IAST tools work inside the application to test the security vulnerabilities while the app is run for dynamic testing, offering additional coverage and quality to test results. This is specifically designed to examine mobile apps and understand how an attacker can leverage mobile OS and apps under the mobile environment. RASP (Runtime Application Self-protection): A combination of testing and shielding product combining protection against possible reverse engineering attacks. RASP tools are continuously monitoring the behavior of the apps, sending alerts, terminating errant process, and in some cases terminating the app itself if anything is found wrong. Code obfuscation: This can help developers to protect their code from being attacked through obfuscation methods using malware. Encryption and anti-tampering tools: These can prevent attackers from gaining insights into the application code. Threat detection tools: These tools can scrutinize your mobile app environment or network where your apps are running to anticipate any potential threats. Companies will have to invest in different application security tools and measures to master the security of the apps, anticipate different business needs, and understand varied application portfolio that involve complex infrastructure. They also have to understand SaaS services to construct more secure apps. Moreover, app development companies will have to streamline their workflow by dividing the application security process across the entire application development lifecycle. The network team must look after web app firewalls and other network-centric tools, and desktop front-end team the end-point oriented tests. Knowing the vulnerabilities in the code or understanding the threat is only half the battle. For proper remediation, companies need the assistance of Application Security Service Provider to detect and solve problems. Blue Whale Apps helps you start and scale your application security program, properly integrate it with your SDLC and help in fixing all security vulnerabilities. Offering expert guidance, faster solutions, and proper technical support, we can help maximize your app and data security efforts. To know more, get in touch with us.